Calawah River from the boat launch at HWY 101 Bridge. The Calawah river is part of the Quillayute river system and is known for prime time fishing. The Calawah offers several excellent Lunker opportunities with cookie cutter winter run Steelhead averaging 8-10 pounds. The Calawah also has a pretty good Salmon run as well with plenty of Silvers, and once in a while Kings and Sockeye. 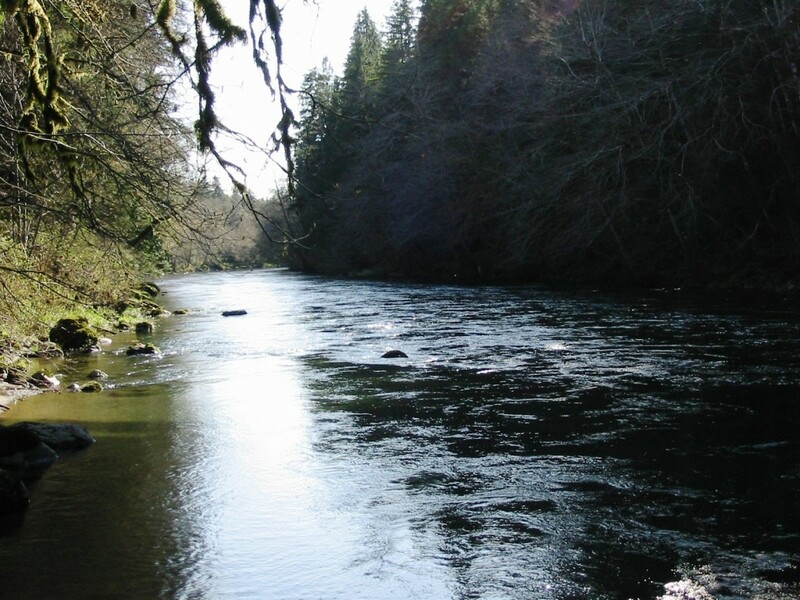 Calawah river fishing access is abundant and there are several places you can put in for drift boat fishing or hoof it to some choice bank fishing spots. For Calawah River fishing access see maps below. Sniper. Not a lot of competition for bank fishing, You’ll mostly find guys in drift boats! Calawah River Water Levels are provided by the United States Geological Survey data system.